Taking out a second mortgage can be a very useful tool to increase your wealth if it is managed properly. There are many reasons that homeowners take out second mortgage loans and cash out mortgages, and many of them can be good ideas in the right circumstances. What Is a Second Mortgage Loan and How Do You Qualify for a Great Interest Rate in Today’s Marketplace? A second mortgage is a lien that homeowners can take out on their house without having to refinance their existing 1st mortgage lien. It’s hardly a secret that 1st and 2nd mortgage interest rates are advertised near record low-levels. Read on an learn how to qualify for a second mortgage in 2018. Like any loan that uses your home as collateral, there are risks involved, so it is crucial to weigh the pros an cons of a 2nd mortgage loan before making a big commitment and signing legal documents. A home equity line of credit (HELOC): This is a line of credit that uses the equity in your home. You can borrow up to a certain credit line, just like with a credit card. The advantage of a HELOC is that you need not take out the entire amount at once. You can just use the line of credit as you need it. Most home-equity credit lines allow you to only pay interest on the money you are using. A home equity loan: This is a second mortgage that allows you to pull out all of your equity at once in one lump sum. This can be a good idea if you need all of the money at once. Note that you will pay interest on the entire equity amount as soon as you take it out. If you have children and you do not have enough money saved up to pay for their college education, taking out a second mortgage loan can be a good move. If you have good credit, your interest rate on your second mortgage will often beat the rates you can get anywhere else. This is because you are borrowing against your home, and people borrowing against their home are likely to repay the debt. Another major benefit of paying for a college education with a second mortgage is that you can generally write off the mortgage interest you pay on your taxes, if you itemize. You can easily save a few thousand dollars per year on your taxes by doing this. Have you been dreaming about remodeling your kitchen and bathroom? A second mortgage can allow you to do that. You can take part or all of your equity (up to 80-90% usually of your total available equity) and put it into home improvements. If done wisely without overspending, fixing up your home with home equity can be a great move. Review Home Construction Loans Now. You will be able to enjoy your home even more than before, and you also can reap a higher profit when you sell the home. You should focus on repairs to your home that will generate the most return. A kitchen or bathroom renovation often returns a lot when you sell, as does adding square footage with another bedroom or family room extension. Another very popular thing to do today with a second mortgage is to pull out some of your equity and to put it into the stock market or possibly into real estate investments. There are particularly many opportunities today to put your equity into cash flowing real estate investments. If you are able to take out a second mortgage for 5%, and invest in real estate investments that makes 12%, this makes a lot of financial sense. You then can take the money that you are making and use some of it to pay down your second mortgage loan. Borrowing on your home has risk: If you pull out equity and put it into something that does not provide you with a rate of return, such as a new car, you need to remember that you will have to keep paying on that loan for years to come. Can you handle that? Some second mortgages lead to foreclosure: There were unfortunately many cases during the last recession where people borrowed money from their homes to buy cars or go on expensive vacations. They expected their property values to continue to increase. When they fell instead, many people couldn’t keep up with the payments and they lost their home. Second mortgages have higher interest rates: If you were to default, the second mortgage is subordinate to the first, meaning that the first mortgage holder gets paid off first. So, in most instances second mortgage rates are offered at higher interest rate than the same borrower would get for a mortgage held in first position on title. If you do home improvements, you don’t see the financial benefit until you sell: Improving your home can be a smart move, but you will not realize the profits until you sell your home, which could be years from now. When a second mortgage is used wisely, it creates many exciting financial opportunities for the homeowner. But you need to be disciplined and plan things out so that the use of your equity results in a profit so that your financial situation is improved. If you do enough planning on how to use your equity wisely, a second mortgage can be used to greatly increase your net worth over time. A second mortgage is either a home equity loan or a home equity line of credit (HELOC) on your home. It is exactly what it sounds like: a second mortgage on your personal residence that you have to pay every month. As I mentioned earlier, the second mortgage loan is secured by your home, just like your first mortgage. If you fail to pay it, the bank can take your home, typically after you are 60 or 90 days late on the loan. Many home owners are attracted to second mortgages again in this year because interest rates are so low. We may see a surge in 2nd mortgage applications if the Federal Reserve raises key interest rates as anticipated. If you are thinking about getting a second mortgage, we want to tell you some very important information so you can make a good decision. What Are the Types of Second Mortgages? Fixed home equity loan: This is a lump sum of cash that is based upon how much equity you have in your home. You get the cash in your bank account all at once, which can be appropriate for many large expenses. Note that you will pay interest on the entire sum of money as soon as you receive it. The interest rate is usually fixed. If you have low Fico scores, you should ask about home equity loans and bad credit as they are available for borrowers that meet the lender’s criteria. 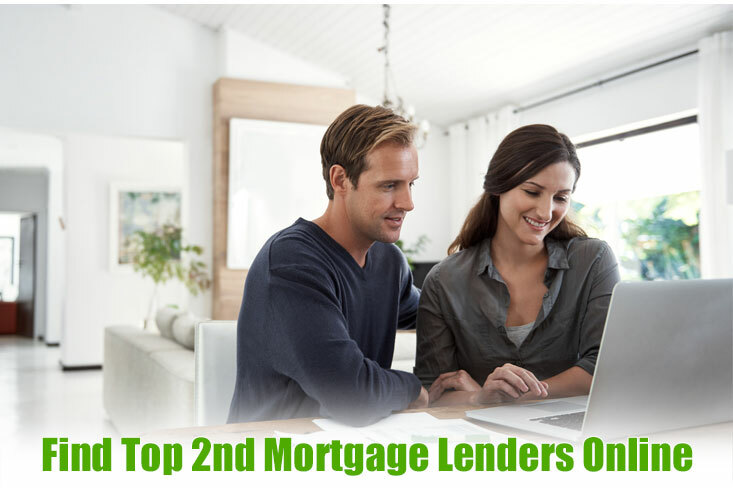 We suggest that you shop and compare offers from second-mortgage lenders and brokers. Interest only home equity line of credit: This is a line of credit on your home’s equity that you can draw out as you need it, within a certain period of time, usually 10 years. It is an interest only payment for the draw period, and then you pay interest and principle once the draw period is over. You only need to pay interest on the amount of money you have taken out. See today’s HELOC rates. How are you going to use the money? Few financial advisers would recommend that you use the money for anything that does not generate a return on investment. This would eliminate using the money to pay off debt, to buy a car or go on a vacation. Some homeowners still may go ahead and use their equity to pay off their credit cards. They are being charged a much higher interest rate on the credit cards than they are on the second mortgage. The problem is if you just use paying of the credit cards as an excuse to pile on more debt again. Now you have the debt in your home, which you will lose if you do not pay. Up until 2018, you can deduct the second mortgage interest you pay if you pay off credit cards, which you cannot do with credit card interest. The recent tax reform bill repealed the deduction of second mortgage interest. This provision does not expire until 2026. The most common thing that people do with their home equity is to use it for home renovations. If you spend the money wisely on the renovations, this can be an excellent return on investment. Most people like to upgrade the kitchen or bathrooms. You will not see a return on your money until you sell. But, you will be able to enjoy the benefits of an improved home until you sell, which makes it well worth it for many people. Another idea is to borrow money out of your home on a 2nd mortgage to purchases investment properties. If you can borrow the funds at 5% and earn 12% or more, this also can be a really good return on investment. You would be strongly advised to work with a highly experienced realtor or real estate investor. You want to be sure that you are going to be able to get a good return on your money. Remember, if you end up losing money, you still have to pay for that second mortgage! Some home owners will use their second mortgage to pay for a college education for a child. If the child is going to be earning a good salary in his or her major, this also can be a wise move. How close are you to retirement? If you are paying on a first and second mortgage well into your retirement years with reduced income, this could be a terrible financial burden. How many years do you have left on your first mortgage? Are you going to be receiving a higher level of income in the near future? Are you really sure that you will be able to make the payments on the second mortgage for years? Are you comfortable with the higher risk that you have by having a second mortgage? Getting a second mortgage is a very popular financial step, and if you make the most of the money, it can secure your financial future. Do all of your financial homework, making sure that the money is going to be put to good use. Borrowing money out of your home IS a risk, and you want to make certain that the risk has a good chance of paying off. Do you own your home and have equity? You may want to pull out cash to buy a car, pay off credit cards, or pay for college. But what if interest rates are on the rise? Refinancing your first mortgage may not be what you want to do. And if there is not a clear financial reason to do so, such as a lower interest rate, you may not be allowed to refinance it anyway. Many home owners opt for a second mortgage when rates are rising. What’s a second mortgage all about? Keep reading, please! This is a Great Year for Homeowners to Secure Second Mortgage Loans with Interest Rates Near Record Lows and Flexible Guidelines for Qualifying. A second mortgage is either a home equity line of credit (HELOC), or a home equity loan. Most home equity loans have a fixed rate for the entire life of the loan. A home equity credit line has a variable interest rate that can change from month to month. A HELOC-loan will usually start with a lower interest rate, but rise with time, depending upon the markets. If interest rates are rising overall, expect your HELOC interest rate to rise. It can rise substantially as rates go higher. There is a cap above which the rate cannot rise. But if you start with a 5% rate and it goes to 10% in a few years, this is a serious increase in cost that can sink many people. A home equity line will have a higher rate, but at least it is fixed for the life of the loan. That rate also cannot rise as interest rates continue to rise. Whether a credit line or home equity loan is best varies based upon your needs and risk tolerance. If you are more comfortable with fixed payments, strongly consider a home equity loan. If you are fine with payments that may increase (but be lower at first), think about a HELOC. To qualify for your second mortgage, you need to meet the lender’s lending criteria, just as with your first mortgage. You do not need to use the same lender for your second mortgage as the first. Remember that if you do not pay on the second mortgage, you can lose your home just as you can if you do not pay the first. There are several major advantages that make a second mortgage a logical choice if you are in a rising interest rate environment, and just generally. First, a second mortgage can be your best option if the rates to refinance are the same or higher than your first mortgage. As noted above, you may not be able to refinance your first mortgage if the interest rate is not substantially lower. A second mortgage will nearly always carry a lower interest rate than other types of debt, such as personal loans and credit cards. You can save yourself thousand in interest if you pay off credit cards with a second mortgage. Second, a second mortgage usually allows you to borrow a lot more money than personal loans. The loan is secured by your home so you should be able to borrow quite a bit more than you otherwise would. How much? It will depend upon the lender. Generally, you should be able to borrow 80% of the value of your home, minus what you owe. Third, second mortgages as with first mortgages usually allow you to tax deduct any interest that you pay. This will save you a lot of money over credit cards and personal loans. Getting a second mortgage in a rising interest rate environment also will allow you possibly to do major home improvements. Many people cannot afford to do home improvements with all cash. So, they use a second mortgage to get the home improvements done. Doing so in a rising interest rate market may be a smart move. Why? Because home prices often are rising in a higher interest rate environment. As you do home improvements, you often will enjoy a good deal of appreciation. This can help your home improvements to largely pay for themselves, at least when you sell. Your chances of foreclosure rise when you take out another mortgage. So, be sure that you can really afford the payments. You need to pay for several costs, such as credit checks, appraisals and closing costs. Be sure that you have weighed all of the costs versus what you stand to gain. Any time you borrow money, you will have to pay some type of interest. Of course, second mortgage rates usually beat credit cards, but you will pay a higher rate than on your first. Getting a second mortgage when interest rates are rising is often the best bet for home owners who have a first mortgage with a very low interest rate. It is often better to leave that first mortgage in place and borrow the cash you need with a second mortgage. You need to think carefully if a HELOC or home equity loan is best, considering your financial situation and level of risk you prefer. HELOCs carry lower rates at first, but in a rising interest rate environment, can go up fast. A home equity loan has a higher rate, but it is fixed.